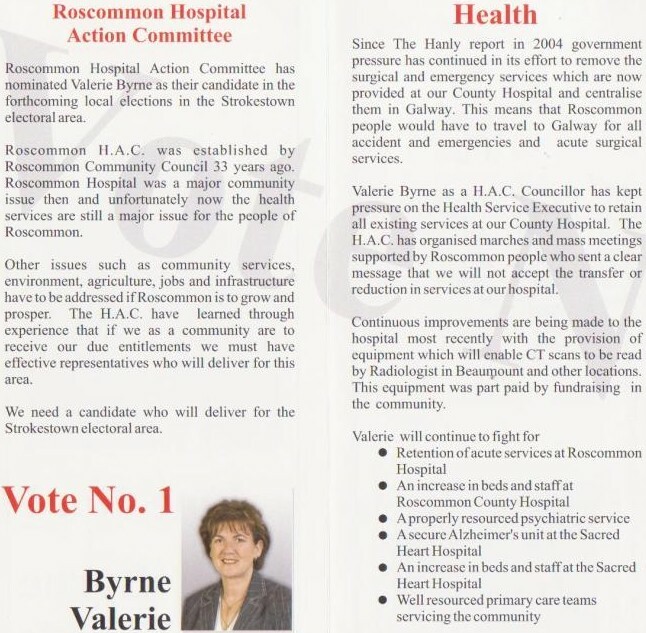 From the 2009 Local Elections a leaflet from Valerie Byrne of the Roscommon Hospital Action Committee who was running in Strokestown. She polled 1,052 votes and easily won a seat, one of two won by the HAC.The other Hospital Action Committee councillor is Paula McNamara. The Hospital Action Committee was founded in 1976. Other leaflets from them are here. Tom Foxe was elected to the Dail in 1989 and 1992.